The sika deer inhabits much of East Asia, and has also been introduced in several countries, including Australia, Austria, Denmark, France, Ireland, New Zealand, and the United States (Maryland, Oklahoma, Texas, Wisconsin, and Virginia). The species as a whole is not in danger of extinction, but five Asian subspecies are listed as endangered and four are said to be critically endangered. The coat of the sika deer ranges from grayish or chestnut brown to reddish olive in color. The chin, belly and throat are off-white. Some subspecies have white spots on their upper sides. The average head and body length of the sika deer is 3.1 to 5.9 feet with an average shoulder height of 2.1 to 3.6 feet. Weight ranges from 55 to 242 lb. Males are larger than females, and populations in northern (colder) regions grow and weigh larger than southern populations. Adult males have narrow and erect antlers with two to ten tines on each bar, and the antlers may grow up to 2.7 feet in length. Both male and female possess a shaggy neck mane that darkens in the winter months. Sika deer are mainly forest dwellers, but they are able to adapt quite well to various types of habitat, such as freshwater marshes and grasslands. They are active mainly at night, and they eat leaves and grasses. These deer are known to be great swimmers and will readily enter the water to escape predators. Males tend to be solitary but can sometimes be found in all male groups. Females and their young remain in groups of two to three. Males mark their territories by digging holes in the ground with their antlers and forefeet and urinating in them frequently, and they may mate with several females in the area. Mating occurs from September thru October, and females give birth to one calf after a gestation period of 217 days. Five sika deer subspecies are listed as endangered: The Shansi sika deer (Cervus nippon grassianus) of China, the Formosan sika deer (Cervus nippon taiouanus) of Taiwan, the North China sika deer (Cervus nippon mandarinus) of China, the Ryukyu sika deer (Cervus nippon keramae) of Japan, and the South China sika deer (Cervus nippon kopschi) of China. The main threats to these subspecies are hunting, loss of forest habitat and predation by other animals. 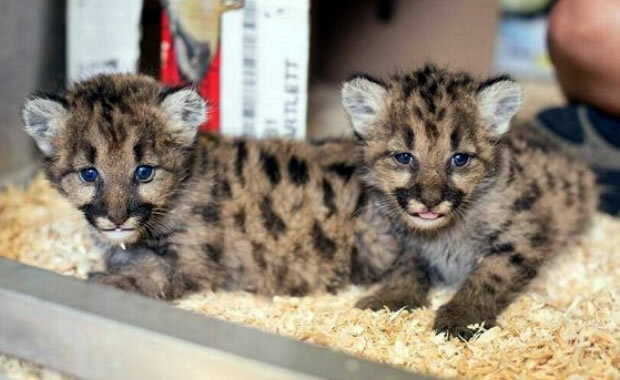 All five subspecies were listed as endangered in 1979, and the China population is said to be protected, but very few (known) additional conservation measures have been implemented to preserve the species. Copyright Notice: This article is licensed under the GNU Free Documentation License. It uses material from the Wikipedia article "Sika deer". Glenn, C. R. 2006. 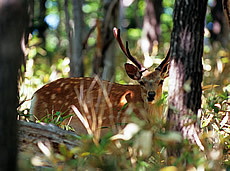 "Earth's Endangered Creatures - Sika Deer Facts" (Online). Accessed 4/24/2019 at http://earthsendangered.com/profile.asp?sp=118&ID=3. Need more Sika Deer facts?